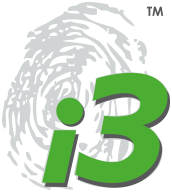 The original i3 personality assessment tool was created to do two things, increase self-awareness and enable stronger relationships (team building). From this base the i3 tools have been continually improved and developed to support people and organisations right from the beginning in providing direction on suitable careers through to allowing full potential to be achieved over a lifetime. What really makes the i3 assessment tool stand apart from others, is its focus on individuality rather than conformity. This means that every output shows you the potential of an individual rather than how they fit in a box or need to conform. If this methodology is appealing then we have a full suite of profiling tools to support career coaching, recruitment of talent, understanding team dynamics and fully developing individuals. This is talent management that embraces individuality. We are extremely proud and privileged for i3 tools to have been used by organisations both large and small. Just one assessment to support career coaching, recruitment of talent, understanding team dynamics and fully developing individuals. We have multiple training opportunities and courses from short masterclasses and 1 day introductory to our full 4-day coaching accreditation. Over the years we have had the most amazing and inspiring coaches and consultants become trained and fully accredited to deliver the i3 tools. Facilitated by i3 Associate Susanne Brown. Facilitated by i3 Associate Anth Quinn.